What is Andorra’s time zone? Time zone in Andorra is the same as in those countries next to is, Spain and France, GMT+1. In the map above, you can find other regions and time zones. 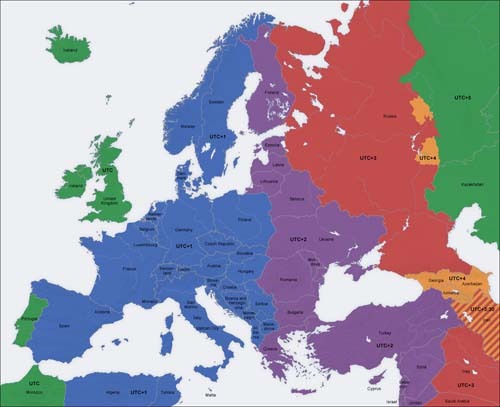 The countries in the same time zone as Andorra are colored in blue (Spain, France, Italy, Germany, Belgium, etc.). The countries with an hour less than Andorra are in green (Morocco, Portugal, England), and those with an hour more are in purple (Greece, Bulgaria, Finland). The regions with two or more hours of difference are in red, such as Russia, with three hours more.